by Professor Curt M. Freedman, P.E., C.E.M. 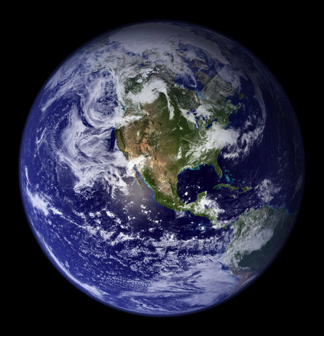 There is a moral responsibility to use best available technologies to protect the environmental sustainability of the planet and the health and welfare of wildlife and humankind. In a blind and misguided attempt to stay warm for less money, along with misplaced concerns for global warming, many people are mistakenly choosing to burn solid fuels such as cord wood, wood pellets, coal, or corn pellets. The alleged popularity and benefit of “biomass” or heating with wood and other solid fuels is simply not justified by the expense, detrimental health impacts of "second hand" wood smoke, fire hazards, and poor heating performance of solid fueled wood, coal or corn stoves. Newspapers and magazines as well as movies and television that promote the use of wood stoves and fireplaces as being romantic and natural do not responsibly present the detrimental health and safety ramifications of heating with solid fuels nor do they discuss more cost-effective alternatives that would promote improved energy efficiency, conservation, air quality, health and safety. 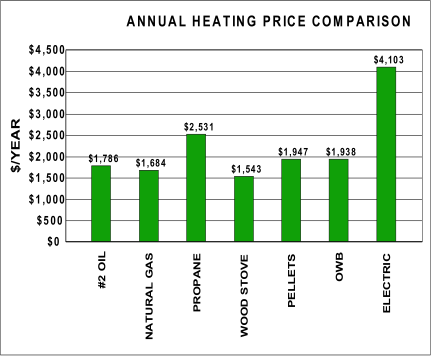 The sales marketers are also telling us that we can save money by paying thousands of dollars on modified wood stoves or outdoor wood boilers that burn corn. Corn is being used today in everything from feeding livestock to the basic ingredients in cold cereal and bread. The increase in the demand for corn has nearly doubled its cost in the last two years. Based on data from the food and agriculture organization of the United Nations, 850 million people on our planet are malnourished; whatever concerns there may be for global warming, the need for corn to enter the food chain must take priority over burning it. Food should only be used for nutrition, not combustion. d) Concern for price volatility caused by low domestic oil supplies. As a licensed professional engineer in the Commonwealth of Massachusetts and a college professor specializing in energy management and alternative energy, I have major concerns with wood heat. 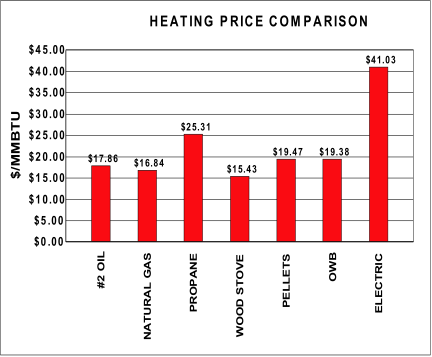 There is inadequate economic benefit to burn wood; a modern high efficiency oil, propane or natural gas appliance will provide excellent performance especially in comparison to electric heat. A modern conventional system also provides the opportunity for zoning and set-back temperature control to achieve both improved comfort and economy. 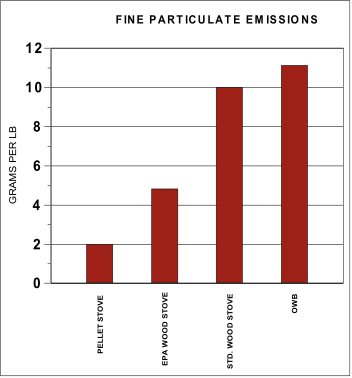 Note: EPA Wood stoves have been documented to have pollution levels comparable to Standard Wood Stoves within two heating seasons. The outdoor wood boilers are much less efficient; there is more incomplete combustion, especially when an OWB is in its idling (smoldering) mode. While an EPA woodstove will release 2.4 gm of PM 2.5 per lb of wood, an OWB can release 3-4 times the PM 2.5 per lb of wood burned. The firing rate of an OWB is much higher. While an EPA wood stove has a maximum energy input rate of 15,000 Btu/hr (1 kg of wood/hr), an OWB can be 10-20+ times the firing rate of a EPA wood stove. Some of the larger OWB can have more than double the firing rate (500,000 Btu/hr) of an average outdoor wood boiler and pollute even more. The quality and type of wood placed in an OWB, such as wet wood or soft woods will produce far more smoke than seasoned hard wood. When one adds the $2,000 to $20,000 initial equipment cost and the ongoing value of a person’s time to clean the equipment and load the fuel, an investment in a solid fueled wood or pellet stove or outdoor wood boiler may have no economic payback. There can be significant health impacts; a wood stove is 500-1,000 times dirtier than a modern natural gas, propane or oil appliance. Wood smoke emissions contain fine particulate pollution as well as other carcinogens and can have similar detrimental health effects as tobacco smoke. Experts have documented that the chemical components in wood smoke cause irritation to the respiratory system resulting in bronchitis, asthma, and sinus infections weakening the immune system, and lower resistance to infectious diseases. I feel that it is time for more responsible energy policies to direct citizens in a more environmentally and economically smarter route on the highway of the 21st Century. I feel that the public should know that returning home in a gas guzzling SUV to their glass enclosed family room heated with a wood stove and a redwood Jacuzzi heated with wood from an 80 year old red oak tree may not be environmentally friendly. I feel that we need to utilize equipment that has comparable emission levels and protects clean air quality standards. I think we need to more aggressively promote energy & electrical conservation to reduce our emissions from, and consumption of fossil fuels. I do not feel burning formerly healthy hardwood trees is the proper utilization of our forests. The biomass reactionists have never explained how chopping down oxygen producing, CO2 consuming trees and burning them reduces global warming. BURNING WOOD IS NOT ENVIRONMENTALLY NEUTRAL. My experience with fine particulate air pollution began several years ago when my neighbor installed an EPA approved wood stove (with a catalytic converter) that resulted in my normally healthy lungs bleeding from bronchitis and my son being hospitalized. I resolved the problem with my neighbor by investing in a natural gas hydronic heating system for their family room so they could choose to utilize a heating system that releases 1/1000th the PM1O and PM 2.5 pollution of a wood stove. After this experience, I became an advocate in my community identifying problems with the use of solid fuels and promoted Best Available Technologies or "BATs" utilizing conventional heating equipment. In past years, I have presented documentation to the Longmeadow Board of Health, the Longmeadow Bertucci's Wood burning Pizza Restaurant converted its wood burning oven to natural gas. The emissions from the wood oven became a nuisance after the wood smoke continued to detrimentally impact the occupants of a nearby commercial office building, including the chairman of the Longmeadow Board of Health. "Wood smoke is significantly associated with respiratory function decrements in young children with asthma." In the Seattle area, "60%-90% of particles in residential neighborhoods ... are from wood burning year round. "-EPA report: "A Summary of The Emissions Characterization and Non-Cancer Respiratory Effects of Wood Smoke," 12/1993. "Individuals can also help reduce particulate pollution through simple steps such as using energy efficient light bulbs and appliances, maintaining cars properly, insulating homes, and curtailing use of wood stoves for home heating in favor of cleaner fuels. "-NRDC report: "Danger in the air," 1996. ~New York State AG’s Environmental Protection Bureau, 2005. 1) Everyone must know the detrimental effects of secondhand wood smoke; solid fueled appliances should have warning labels as do cigarettes; we all have a right to know of substances that are unhealthful; people will make better fuel use choices if better informed. 5) Inform the public that during periods of fog or nighttime inversions atmospheric conditions may not allow sufficient atmospheric ventilation to justify using a wood stove or fireplace 24 hours a day. A conventional heating system must also be installed so that cleaner conventional fuels can be utilized when atmospheric conditions do not allow sufficient atmospheric ventilation or when the solid fuel appliance becomes a nuisance to abutters. ~ Let us not sacrifice our health in an attempt to save money. ~ Fine Particulate Air Pollution Is Not a Small Problem! ~ Let us use best available technologies, truly clean technologies such as conservation, wind and solar to help save our planet.